Home » Blog » Outdoor Planning » Before you install a swing set consider these guidelines. Before you install a swing set consider these guidelines. No backyard is truly complete without a swing set. For children, what would otherwise be an open grassy area is transformed into a jungle of possibility, where kids can climb, run, slide and do everything that you can’t do indoors. But you need to make sure that you have the proper situation that allows you to set up a swing set properly before you purchase one. 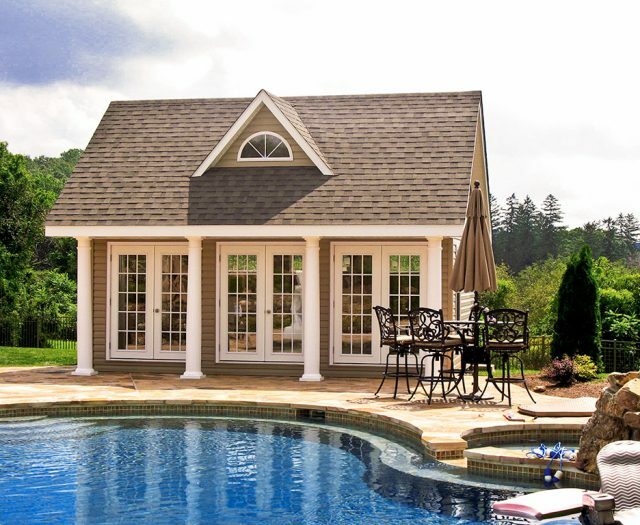 Here’s how to make sure that your backyard is playset-ready. Measure your backyard. Obviously, the first step is to measure your backyard and make sure you know what size playset your yard can accommodate. This will influence both the swing set you buy and where you position it, because you want to allow for substantial space around the swing set. Know what you want. There’s a variety of different materials your swingset can be made, as well as accessories you can add: slides, climbing surfaces, swings, etc. Go over with the family what you want out of the swingset and determine what’s best for your children depending on their age and interests. The swing sets sold at Best in Backyards are manufactured out of Cedar, as Cedar looks better, doesn’t rust, and lasts longer than other materials. Make sure you know the incline. Ideally, you’ll be setting your playset up in a flat area of your backyard. But make sure you know the incline, because if there is one, then that’ll need to be taken into account in setting up the set, as parts will need to be lengthened and adjusted. Otherwise, the set will be unstable and unsafe. Decide if you want to mulch. If you want to put mulch around the set, you’ll have to install the playset first. And make sure you get mulch that is suited for kids play, as not all mulch is ideal for play. Trim foliage. It’s best if you don’t have a lot of foliage and leaves around the set, so trim them back and also trim the trees that hang above the area where you’d liked to install the swing set. You want to avoid a lot of leaves and sap falling on the set as much as possible, as that minimizes necessary maintenance and cleaning. 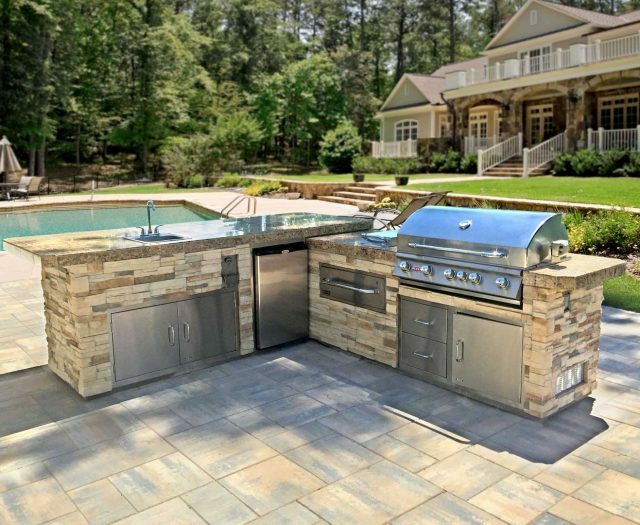 With all this taken into account, you’re well on your way to having a fun, dynamic backyard. 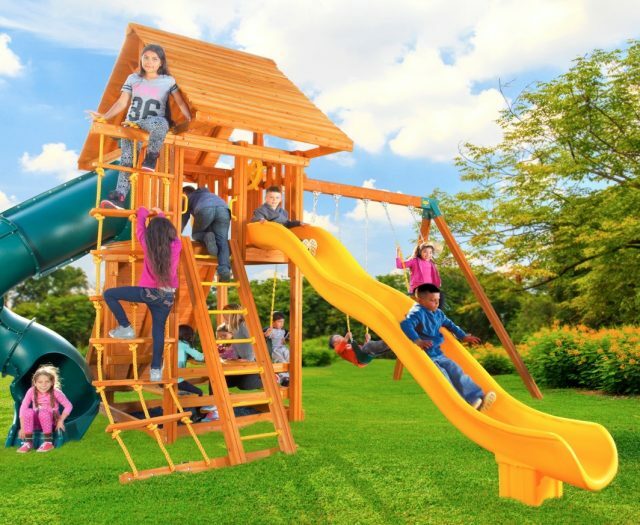 And with Eastern Jungle Gym wooden playsets, you have guaranteed quality and ease of use. It doesn’t take much to accommodate a great playset, so take a peek into your backyard and see how much better it could be!